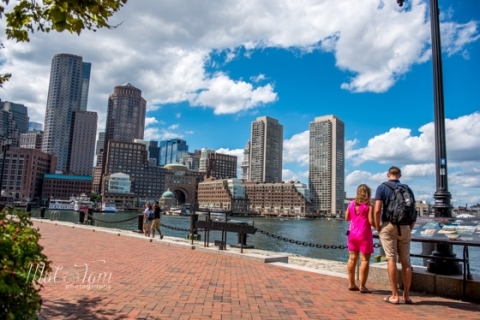 Engagement photography is a relatively new trend in the world of photography, but I myself have much experience as a proposal photographer Boston clients have grown to love and trust. There is nothing more exciting than your big wedding day–except perhaps the day that you get asked to marry your loved one. Many photographs are taken to capture your love at the wedding ceremony, but what about photos of the moment that started it all? When I begin my engagement photo shoots, I like to start off by staying hidden from sight, snapping a few photos of the couple doing normal things like taking selfies or talking quietly together. Then, the transformation unfolds as the groom-to-be goes down on one knee and asks the woman of his life to be his forever. This also provides me an opportunity to catch her initial reaction to the big question, which is one of my favorite things to shoot! There are often many shots taken of the first time the engagement ring slides onto the finger of the happy woman, and the delight on her face cannot be overlooked. The process is completed with a loving kiss of which I also take a few photographs before I decide it is time to make my presence known. 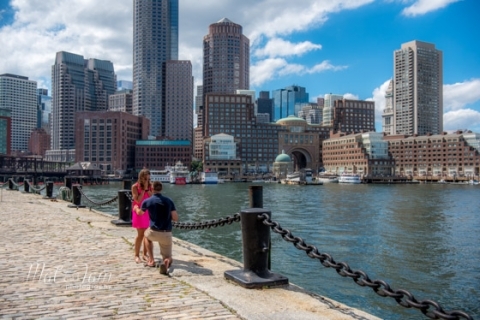 After congratulating the couple, I enjoy taking a couple of posed shots in the location where they got engaged. Memories can fade over time and be difficult to recall, but not when there are photos like these to remind you of the moment every day. Then, we move on to a few locations around town where I allow them to be themselves before the camera to truly capture their everyday happiness. Ring shots are important. I take a few of the hand that wears the ring posed on the back of the man she loves or against a nice backdrop, along with the ring still in the box it came in. The bride-to-be has her solo photo taken a few times where she also can clearly display the ring. One of the best parts of the process is asking the proposing party beforehand if they plan on throwing any sort of engagement party after the proposal. If they say yes, I hurry to the location to beat them there so that when the woman comes out, surprised by the love and by the amount of people there, I am waiting to capture her reaction. Not only that, but I make sure to get many shots of the newly engaged with their ecstatic family members so that they can look back on this moment and see how proud and happy their loved ones are. 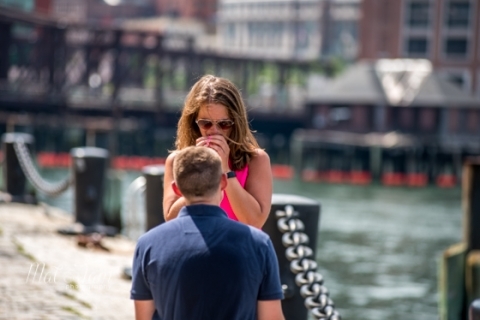 One of the greatest joys as a proposal photographer Boston families turn to is seeing the elation on their faces. 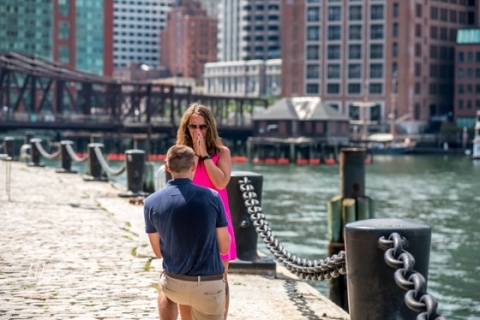 If you have interest in my proposal photographer Boston services and want to have a photo shoot done that is similar to what I have described, please contact me at PHONE/EMAIL to set up the perfect time and place for you.